The last time I visited Kyoto was earlier this January. 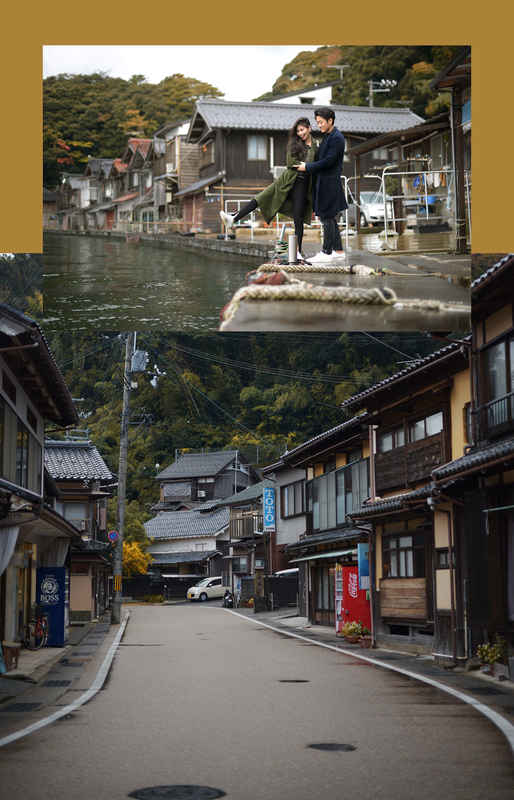 While researching a few spots to see, I came across a couple of articles about Kyoto's hidden gem --Ineno Funaya (伊根の舟屋). As a sucker for seaside dwellings and lifestyle, this became one of my most sought out places to visit in Kyoto. Unfortunately back in January, the weather was quite unbearably cold and the commute here would take quite a huge chunk of the weekend that I had planned to stay there. So, I wasn't able to make it then. For this time around, I made the stay long enough to have enough time for a day trip here. I'll admit, getting to this place was quite the trek. I believe we took 4 different trains and 2 buses along the way since we also got lost, and also wandered off. But was it worth it? YES. There are a few reasons why this place is considered one of Kyoto's hidden gems and one of the biggest is probably due to how tricky it is to actually get here. Located about 130km away from the center of Kyoto, there are barely any tour guides that will reveal this place and there aren't any direct transportations here either. While that sounds troublesome, my adventure here was quite eye-opening. I got to see most of the northern parts of Kyoto via train that I probably would never be able to see. The gorges we passed by were stunning and it was unreal when the train went along the coast for breathtaking views of nothing but the sea and sky. 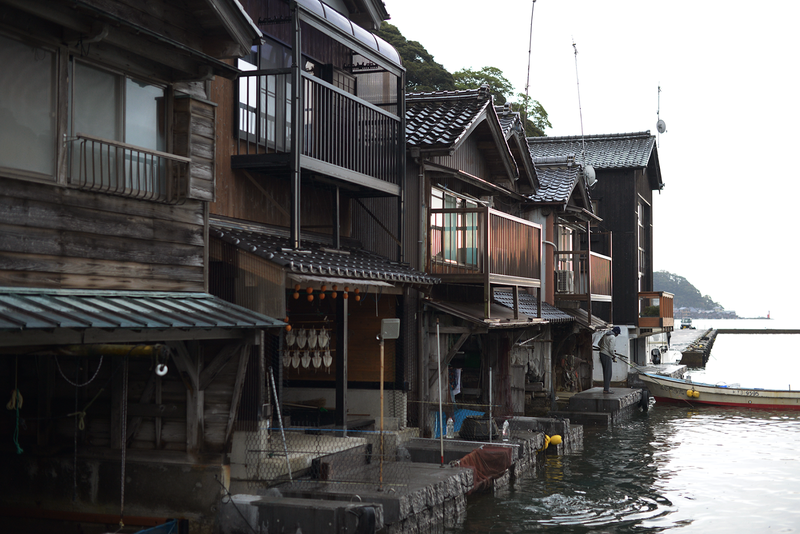 Another reason why this fishing village is considered a hidden gem is probably due to its well-kept tradition of life coexisting with the sea, in the forms of living in a 'funaya.' 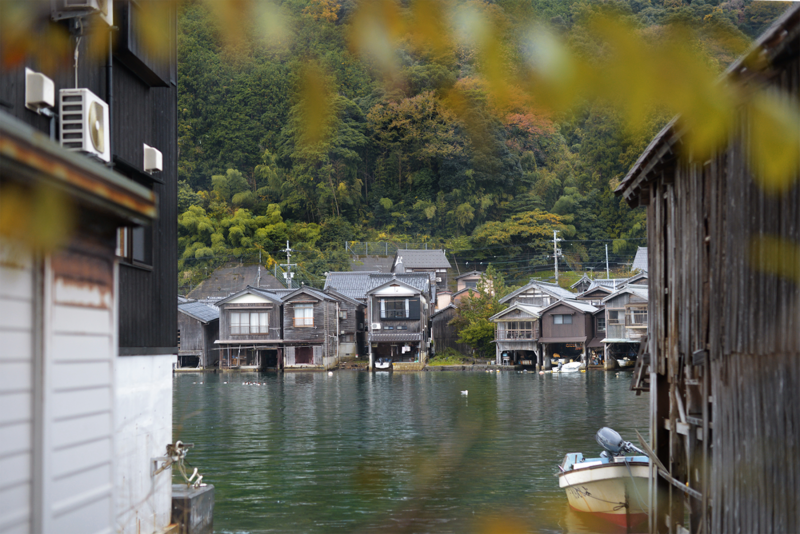 As the name is Ineno Funaya, you can already guess that it is what the boathouses in this village are called. This type of housing existed as early as the 1700s and has been kept that way until this very day. Along the 5km coast, only 230 of these 'funaya' homes stand today and they are all occupied by fishermen and families who actually live there. 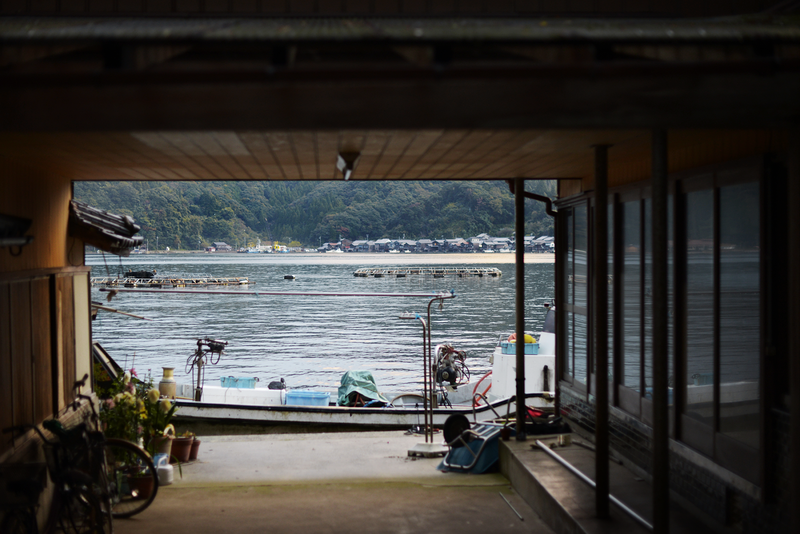 From the sea, looking into the houses, it's really hard to put into words how beautiful and serene it must be to live with the mountains behind you and the sea right in front of you... And it is no wonder why this place is also sometimes referred to as the 'Venice of Japan'. I've warned you already that getting here is not an easy trip - but if you're up for the adventure, or looking for something else to do besides the usual in Kyoto, such as Fushimi Inari-taisha or Arashiyama Bamboo Grove, then read on to see what my itinerary for a day trip here was like. This is probably the hardest part, but also most rewarding if you invest some time in planning. I recommend following Google map as it is pretty reliable. Make sure to always ask train conductors and operators along the way so that you can travel with an ease of mind as you'll be sitting on these buses and train for about 40min at a time without knowing if you're even on the right track. To search, make sure you put in ' Ine-cho, Kyoto Prefecture' from where you are. The trip itself takes roughly 3 hours and 20min to 4 hours depending on what route you decide to take. There are times for the last bus and train you need to take back, so keep that in mind. I left at around 7:30 am for my trip and arrived at around 11:30 am which gave me around 5/6 hours to explore, eat and wander around before catching the last bus back. I decided to do a day trip - but staying overnight is possible. 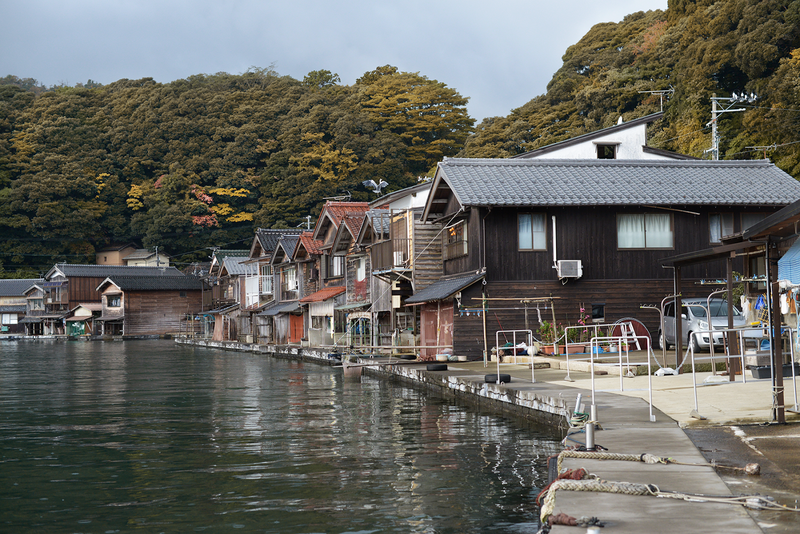 There aren't many tourists that come here, but there are a few really cute boathouses that are open for you to stay the night at, since many people have begun coming here for quiet escapes from the cities. I would recommend staying at '与謝荘 Waterfront Inn.' If I find myself here again in the future, I would definitely stay the night to wake up early and see how the fishermen start their day. Although the village is small and there aren't many tourists, you'll be surprised to find out that there are water taxis that you can take out to sea to admire the view from out there. There are also sightseeing tours by boat which are super relaxing as they are generally small groups. You can also rent bikes to ride around too. And also book a fishing experience as well. 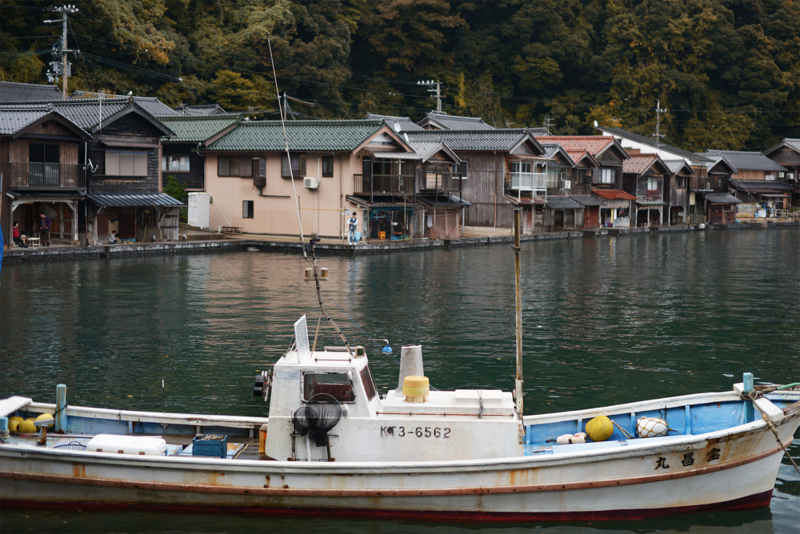 Since it is a boating village, you can expect to find some of the freshest fish straight from the net here. 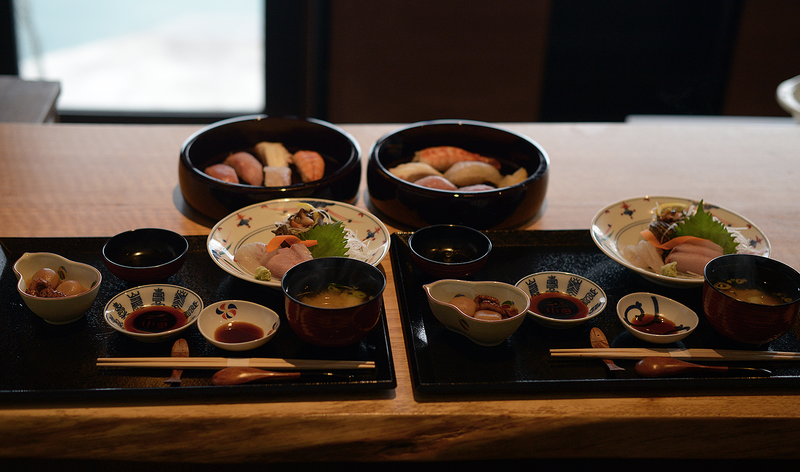 I was supposed to eat at 'Funaya' but decided last minute to dine at 'Wadatsumi 海宮' instead for a more quiet lunch with views of the ocean behind our sushi chef. I later learned that this restaurant took a sea to table approach with a sustainability for the seafood it serves making it even better than what I remembered the meal to be. It rained a lot that day so I got to have coffee in a pretty scenic cafe with the boyfriend. It was quite lovely to watch the rain in such a peaceful place. Without a doubt, this was one of the places that I looked forward to visiting the most this Japan trip and it ended up to not only lived up to all my expectations and more, but it is one of the best date-day-trips that I can remember with the boyfriend.